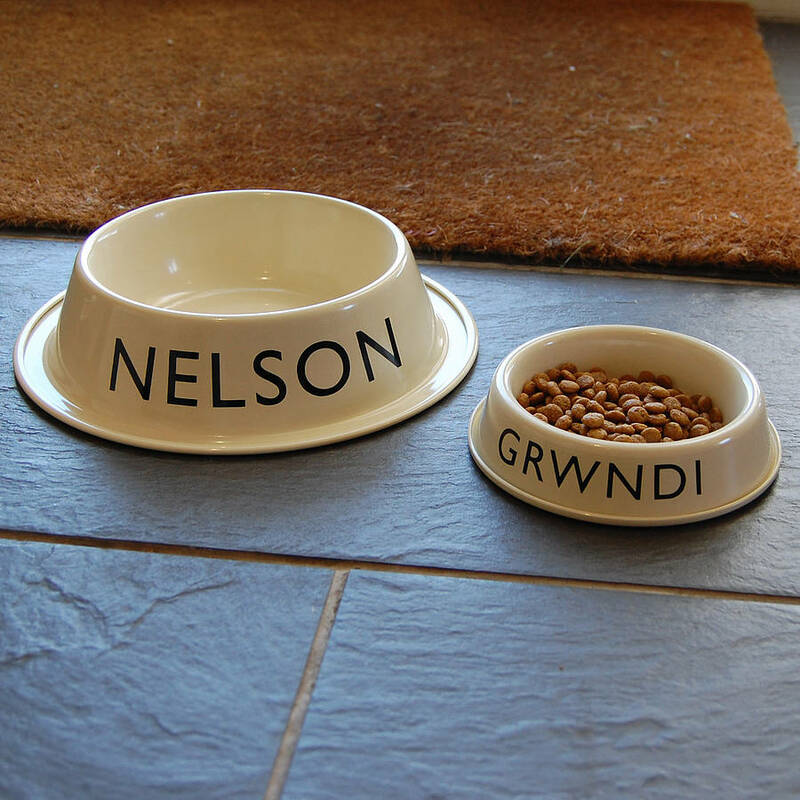 Personalised cat or dog bowl. 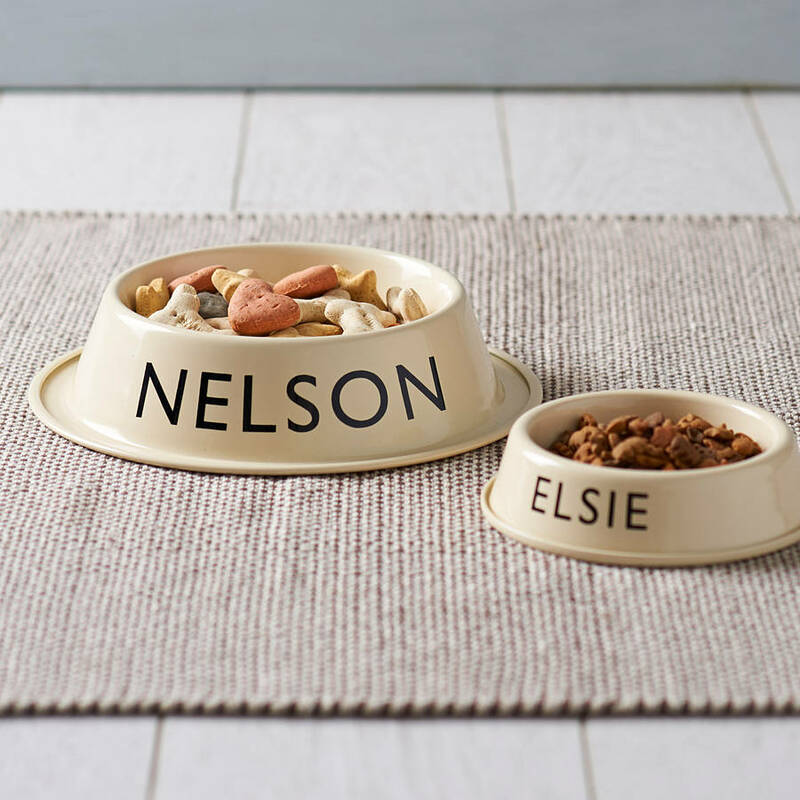 Feed your pets in style with these vintage style cream enamel cat and dog food bowls, personalised with your pet's name. You won't want to hide these bowls away. 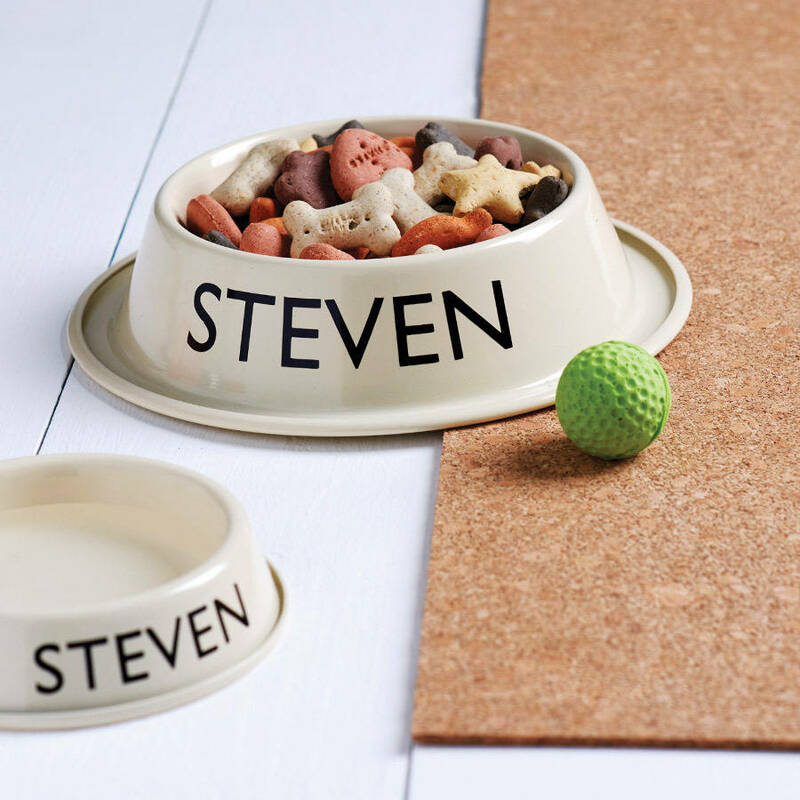 A pefect gift for any animal lover or your own cherished pet. Personalised to order by our local signmakers, please allow 7-10 days for delivery. 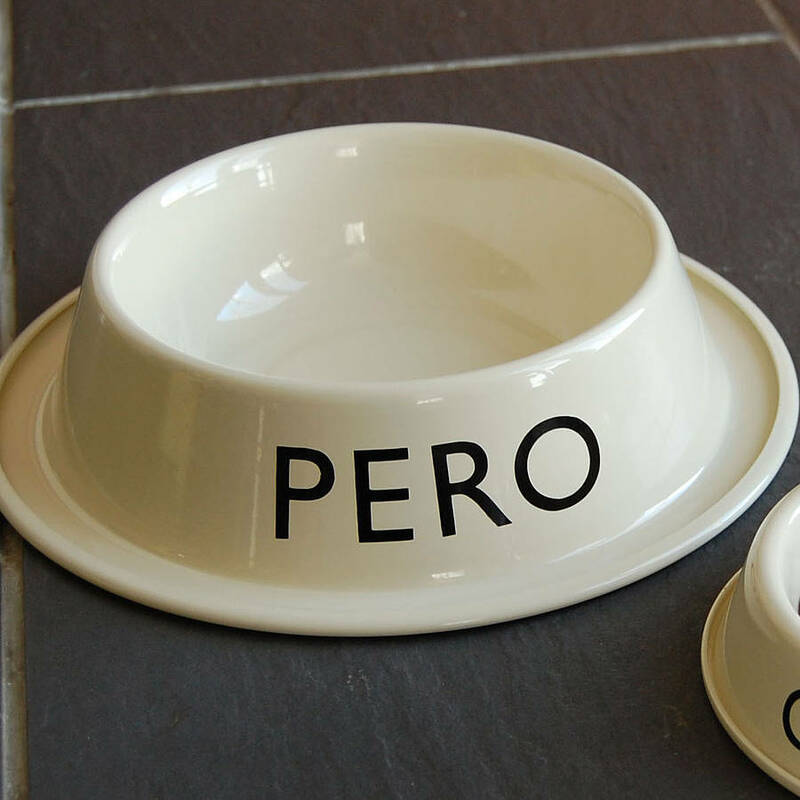 Large - suitable for dogs. Small - suitable for cats. Gift wrap requests will be wrapped in our buttermilk tissue paper and a With Love from Adra sticker. Cream enamel-coated metal. 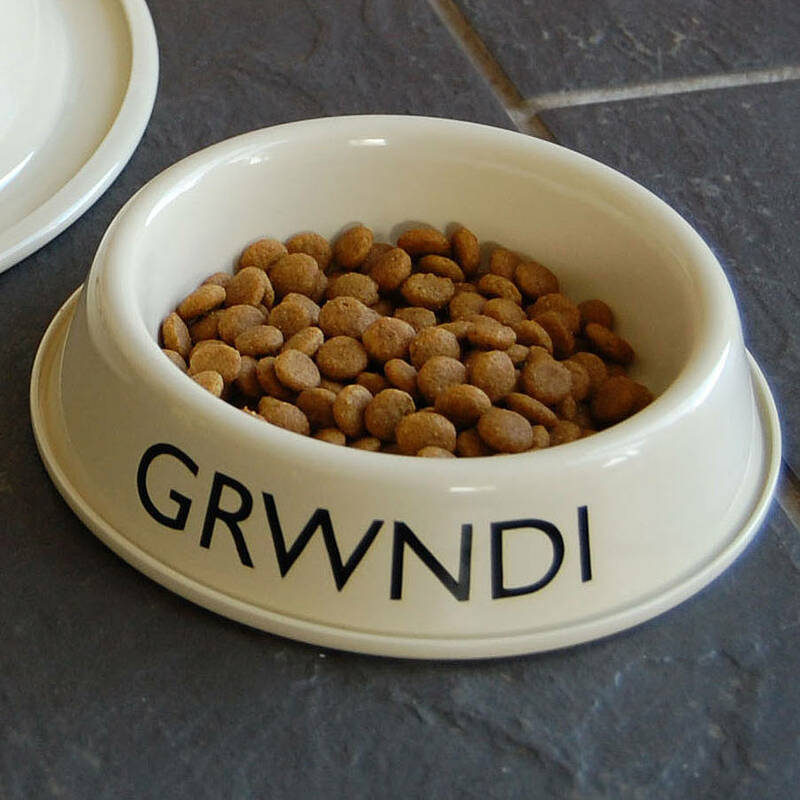 Bowls manufactured in Wales and personalised by our local signmakers in hard-wearing, hand-applied black vinyl. Hand-wash recommended.